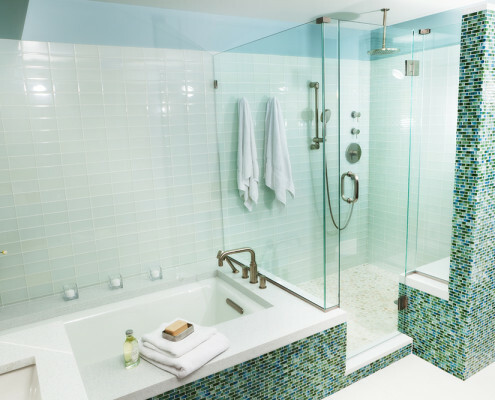 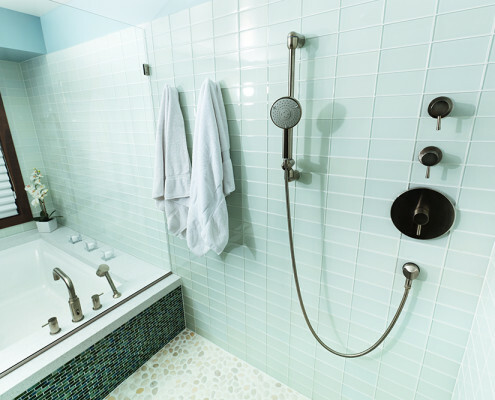 Dominated by a rarely-used corner Jacuzzi tub and a small 36” x 36” shower, this suburban master bath was built with both pieces at angles, wasting valuable bathroom space. 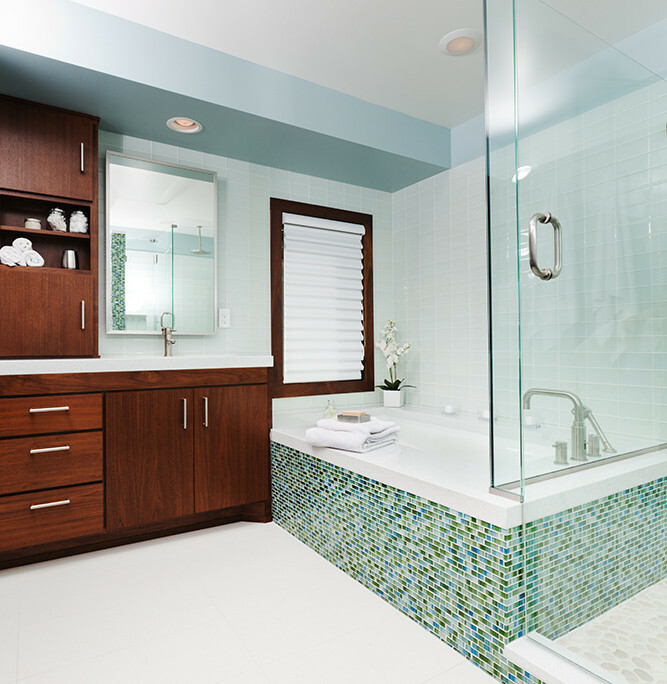 With golden oak cabinetry and 4×4 pink tile surround and shower walls, it was ready for a fresh update. 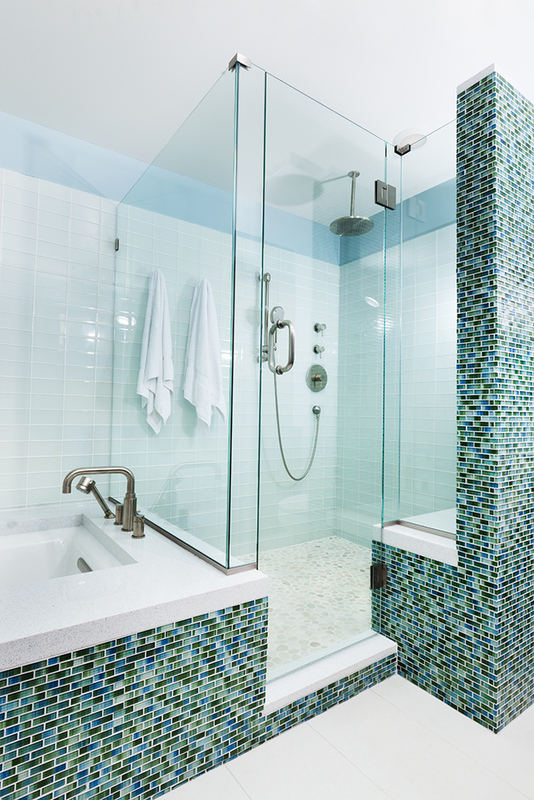 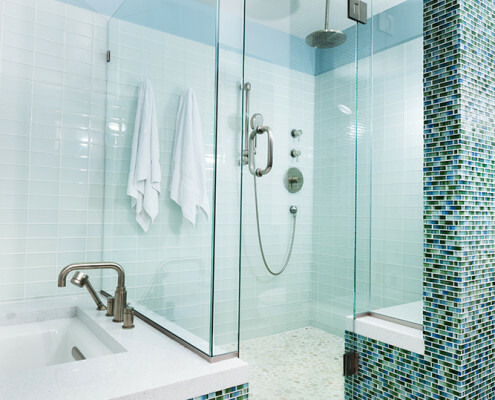 We started with a large frameless shower with built-in seating and adjoining bathtub, all located along one wall to maximize space. 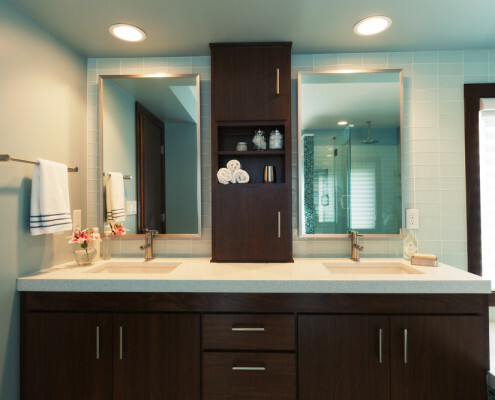 Our client favors mid-century modern design, so we utilized walnut floating cabinetry to match the rest of the home and migrated to a consistent mid-century aesthetic. 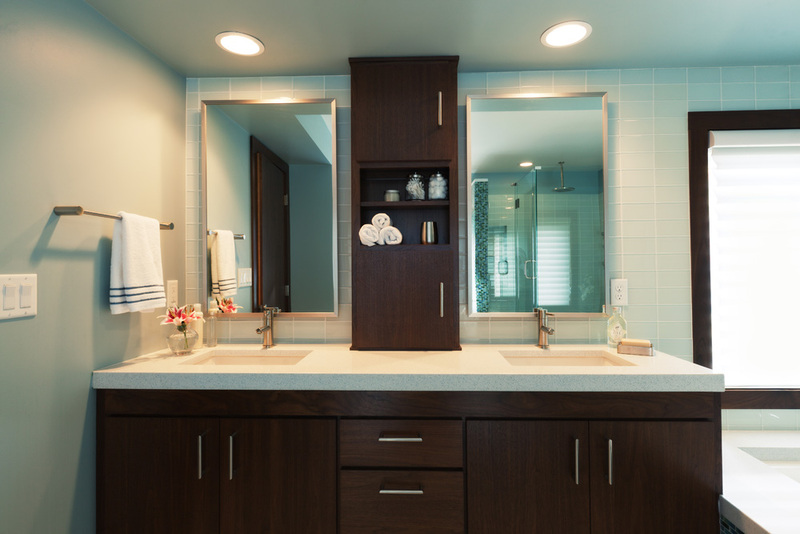 A large built-in replaced the existing wire shelving and improved the function of the closet. 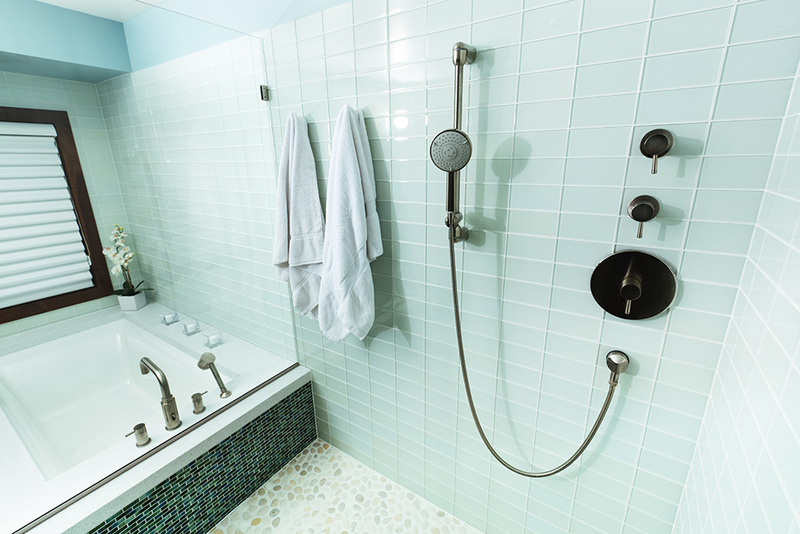 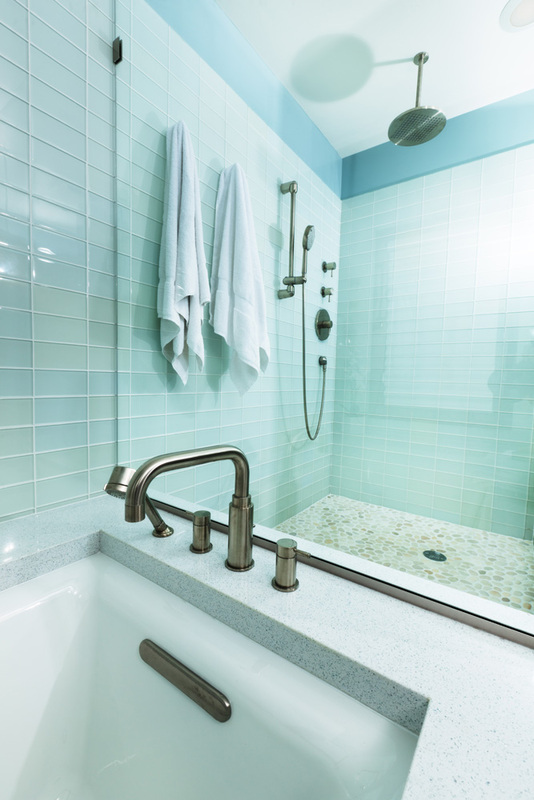 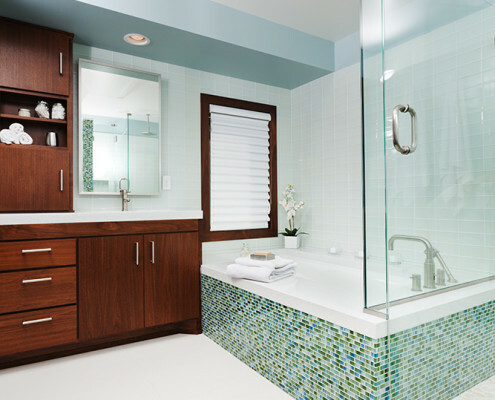 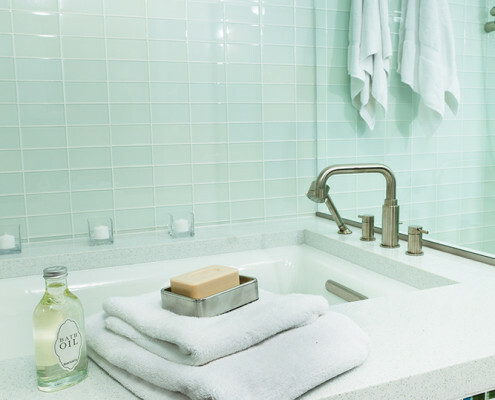 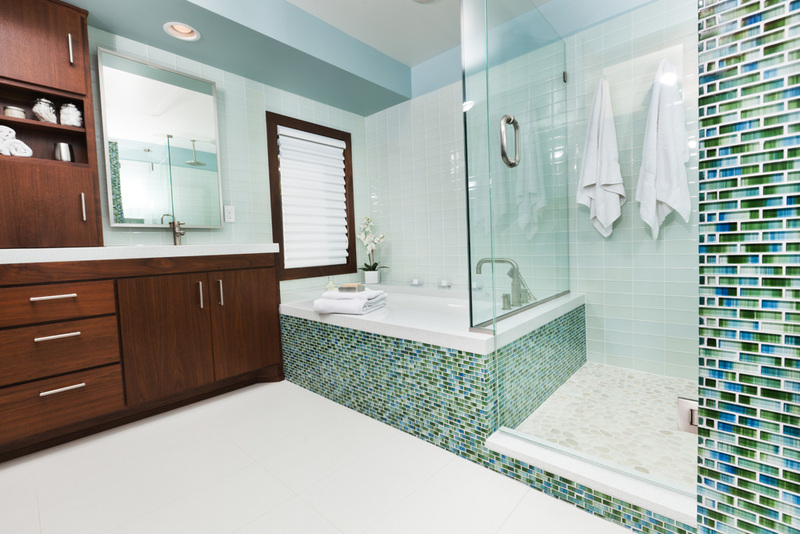 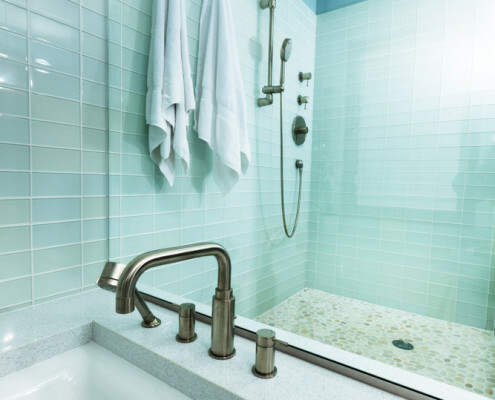 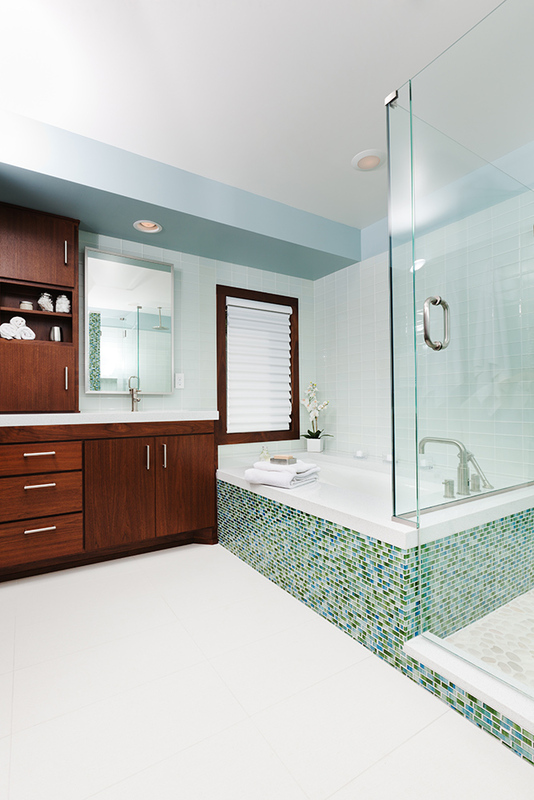 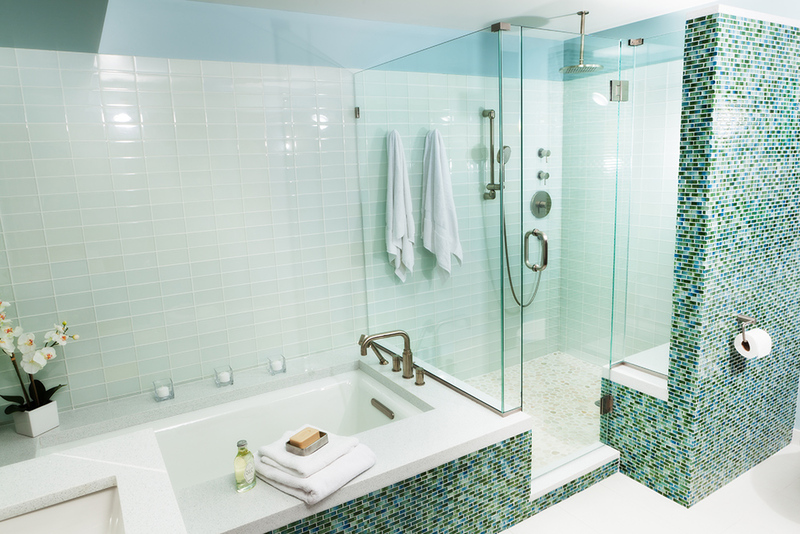 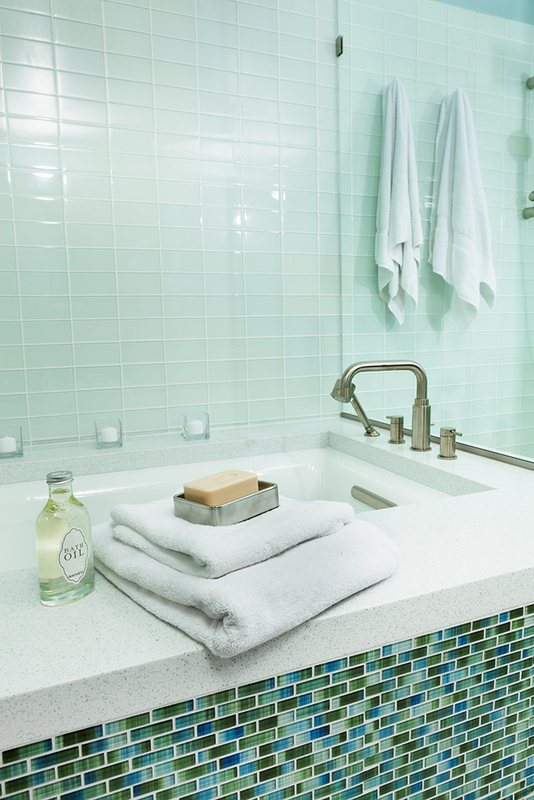 Undermount tub and sinks convey a sleek look with ease in cleaning. 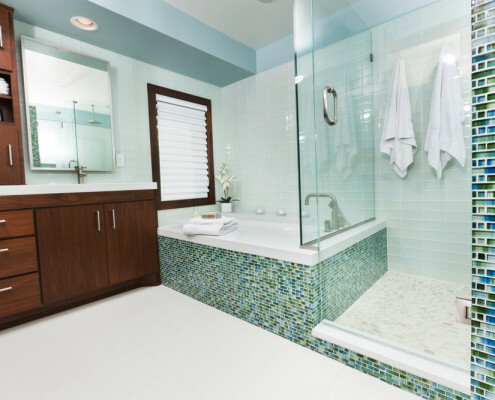 The entire space is now bright, functional, comfortable, modern and clean.